In Mozambique, the municipal elections ‘pre-campaign’ is well underway, but the banning of two opposition candidates in Maputo continues to rankle. 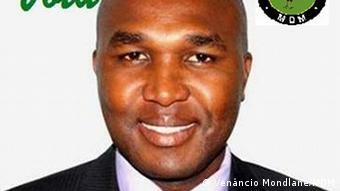 Former deputy-speaker of the Mozambican Parliament and Director of the now-defunct Legal Reform Unit, lawyer Abdul Carimo Issá, has a legal opinion contrary to the decisions taken by the National Election Commission (CNE) and the Constitutional Council, which rejected two opposition candidates in the capital city Maputo in the upcoming local elections. These are the head of list candidates of the largest opposition party, Renamo – Venâncio Mondlane, and of the Youth Development Association (AJUDEM) – Samora Machel Júnior. Samora Machel Júnior, son of the first president of Mozambique Samora Machel, decided to run as an independent after the ruling party, Frelimo, of whose Central Committee he is a member, rejected his bid to head their list. Commenting on the decisions of the CNE and the Constitutional Council, lawyer Abdul Carimo Issá told the press that he has “a much broader, much more comprehensive, much more democratic and much less legalistic view than those which have been followed in these decisions”. The key issue in electoral law, Issa says, is that no article can be interpreted in isolation from the whole system, that is, without taking into account the fundamental principles of the constitution of Mozambique, as well as international treaties and conventions, when the fundamental rights of citizens are at stake. “Regarding any law that involves citizens’ fundamental rights, in any case where there are omissions or doubts, recourse should be made to these conventions and treaties,” Issa says. With about three weeks to go before the local October 10 elections, the CNE and the Constitutional Council still had to consider Renamo’s appeals in relation to the candidacy of RENAMO’s head of list, Venancio Mondlane. The Constitutional Council meanwhile ruled again yesterday, rejecting Venancio Mondlane’s appeal for the second time. Both the CNE and the Constitutional Council also rejected the candidacy of AJUDEM and Samora Machel Junior. The Administrative Court may also have to decide on an appeal that Renamo expects to file regarding its candidate for mayor of Quelimane, Manuel de Araujo. 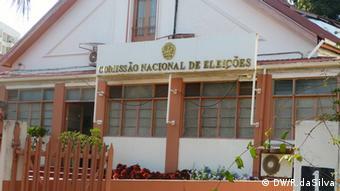 Manuel de Araujo, Democratic Movement of Mozambique mayor of Quelimane, lost his mandate by decision of the Council of Ministers for having presented himself as candidate for the forthcoming elections representing another political party – Renamo. The government decision bars him from the electoral race. Meanwhile, two reputed lawyers, who are also senior members of Frelimo, have claimed that they have been the victims of threats and intimidation after delivering opinions and interpreting laws applicable to situations in the current electoral process. Teodato Hunguana, a former member of the Constitutional Council and former Minister of Information, and Teodoro Waty, former chairman of the Parliamentary Commission on Constitutional Affairs, Human Rights and Legality, expressed a view contrary to some positions of the National Electoral Commission. In a complaint filed with the Attorney General’s Office, the pair complain about an article on social networks in the name of João Julião Cumbane, detailing an alleged conspiracy to seize power in Frelimo and the presidential elections of 2019 . According to Hunguana, the two texts are grossly insidious and malevolent, and describe an alleged conspiracy. Hunguana also accuses João Julião Cumbane of having issued threats to the physical integrity of the two writers as well as his main target: Samora Moisés Machel Júnior and his family. The two lawyers consider that both the alleged conspiracy and their alleged participation in it constitute character assassination which, in other similar circumstances in Mozambique, have constituted genuine preparatory acts for the perpetration of homicide. They cite as an example the murder of the Franco-Mozambican constitutional lawyer, Gilles Cistac, in March of 2015. Several other sectors have also condemned these threats. According to the head of the Mozambique Bar Association, Flávio Menete, “If one has an opinion and presents it, I am not obliged to agree with it. If you have a different opinion, present it, but never threaten others, and especially do not convey the idea that having a contrary opinion can lead to tragedy. Mr. Cumbane has to explain where his motivation comes from, and what he means by that”.